During his days growing up in Red Deer, Colton Sceviour dreamed of one day earning a reputation as a hard-working NHL player. A part-time job helped him appreciate what it would take to attain that goal. 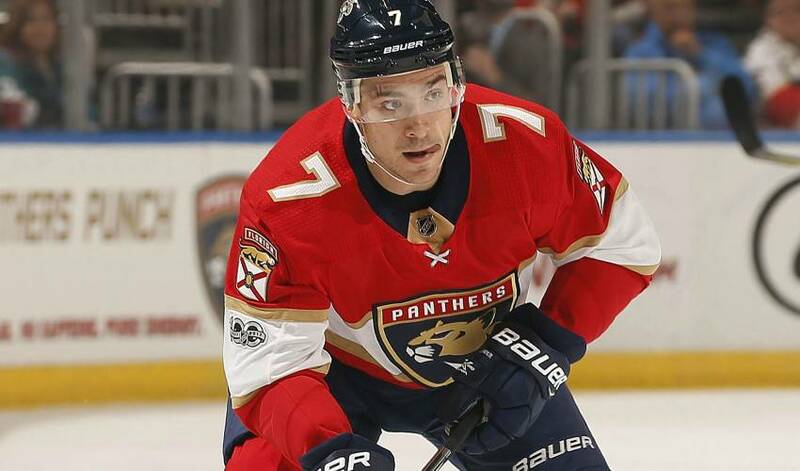 During his days growing up in Red Deer, Alberta, Colton Sceviour dreamed of one day earning a reputation as a hard-working NHL player. A part-time job helped him appreciate what it would take to attain that goal. The aspiring NHLer did have the odd job or two, including the times he helped out at his grandfather’s business. It was hardly glamorous work, but something Sceviour looks back upon with fond memories. Earning money wasn’t the only benefit. When he wasn’t working in the shop, Sceviour was working on his game, constantly looking at ways to improve his skills. He also kept tabs on his favourite big-league players. Selected in the fourth round of the 2007 NHL Entry Draft by Dallas, Sceviour, after seven campaigns in the Stars organization, signed as a free agent with Florida on July 1, 2016. Last season, the industrious winger had 24 points with Panthers. These days, Sceviour is looking to add to his 17 games of NHL playoff experience. His biggest contribution towards achieving that goal will come from what he learned a long time ago.